Originally published by Two Thousand in 2015. A chest full of terrariums. A little wooden bear. A teacup housing a murder mystery. Over 100 vintage coats in pristine condition. These are just a few of the things you’ll find at the Prospector Store in Parramatta. My two theories as to why it’s called the Prospector Store. One – It’s kind of difficult to find, the beautiful store hiding inside an average suburban street mall, locating it might become easier if you use a metal detector and/or a diviner. Two – Store owner Geraldine Mills travels through the lands finding only the most exotic vintage wares. She is one of the few true prospectors in 2015, and her store is actually a trophy room, a testament to her profession. Where most vintage and second hand stores are a hopelessly organised mess, Prospector Store feels more like an art gallery, an exhibition that you can buy every item of. Everything is curated by Geraldine, whose personality shines through her immaculate arrangements of knick-knacks and trinkets, amidst photos she’s taken and framed over the years. 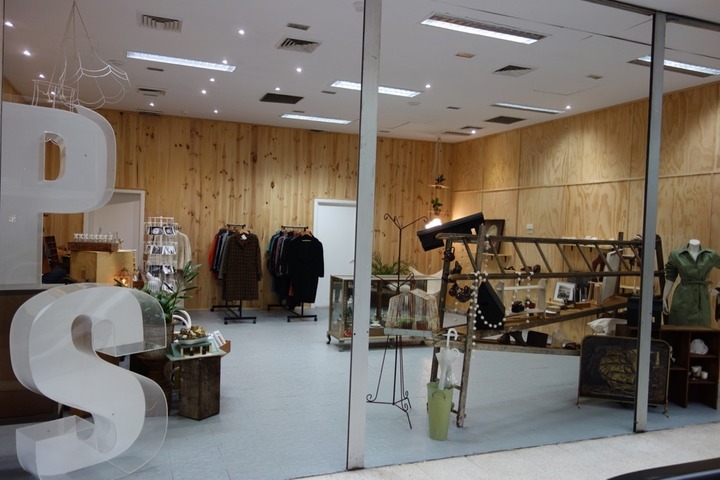 Due to Parramatta council’s desire to become the biggest, most modern city in NSW, the space that houses Prospector Store will be developed into a million apartments by the end of the year, leaving Geraldine with just a month left of trade. While she’ll be keeping her online store, the real thing is a sight to behold. Do yourself a favour and check it out before it’s too late. Andrew Levins (known to all as Levins) is a DJ, chef, writer and Dad. He is behind the monthly 90s party The Rhythm of the Night, and is one of the DJs behind Sydney's long running rap party Halfway Crooks. Hear him every week on the podcasts Hey Fam and The Mitchen.